It is normal to be anxious to move into your new place and start making it feel like home. However, it is important to think about all your housing options, the commitment you are about to make, and understand that a residential lease is a legally binding contract. It is vital that you are as confident as possible that the property you are moving into is everything the landlord has claimed it is. You will accomplish this by conducting a “walkthrough” of the property. Most states have an implied warranty of habitability, which means that your landlord cannot rent a residence to you that is not in a livable condition. The landlord can, however, rent residence to you that may have some defects if those defects are not substantial enough to make the property uninhabitable. The walkthrough is your chance to assure yourself that the place is in a habitable condition, and also to detect defects in the property that will either be promptly fixed after you move in, or are small enough that you can tolerate them. Ideally, a walkthrough should be conducted before you sign a residential lease or move into the property. Schedule a time to walk through the property with your landlord present so he can show you around and answer questions. If possible, it is best to bring everyone who will be living in the property. The reason for this is twofold: 1.) Everyone who will be living at the property should have the chance to assess the property for themselves before agreeing to the residential lease terms, and 2.) More sets of eyes will give you a better chance of discovering defects in the property. If you are the lone renter, it is a good idea to bring a trusted friend or family member with you. During the walkthrough, you should have a pen and paper, and make a list of any and all defects in the property. Also, bring a camera or use your phone to take photos. The list of defects should be signed by both you and the landlord, and it should be noted in the lease that all pre-existing conditions are noted on this list. This list will protect you from false damage claims upon move-out. It should also be noted whether each defect will be fixed by the landlord after you have moved in, before you move in, or if you will just live with them. If any defects in the property create an issue that you feel is unsafe or that you are unwilling to tolerate for any period, you should insist that the landlord remedy them before you sign the lease. You should thoroughly inspect each area of the home, inside and out. You should test the running water and electricity to make sure it functions properly in each room. I recommend turning on and off all lights, looking for outlet placements, running all showers and faucets to check for hot and cold water, flushing all toilets, testing heating and air conditioning, running appliances and fans, and opening and closing all doors. Anything that can be turned on or moved should be tested to make sure it is in good working order. In most states, your landlord will have little or no duty to disclose most defects in the property, and you should assume that your landlord will disclose nothing to you. However, your landlord cannot actively lie about the condition of the property. Therefore, it is best to ask any questions you have about the property during the walkthrough or before signing the lease and document the landlord’s answers. Always ask if there is anything that is in disrepair or needs maintenance of which the landlord is aware. An open-ended question like this may protect you if you later discover a problem of which you were not initially aware. Only when you are completely satisfied that the property is in a satisfactory condition should you proceed with signing the lease and moving into the property. 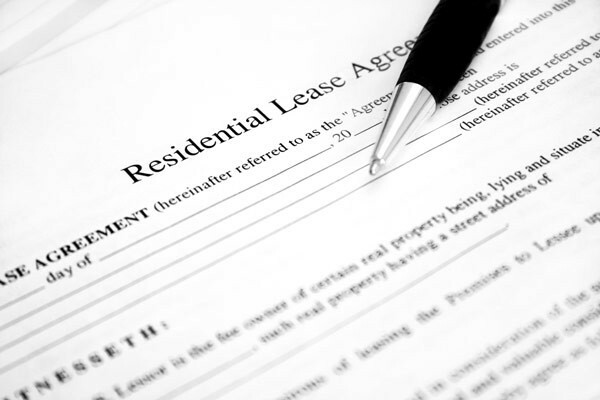 Be sure to check out Residential Lease Part 2: Signing a Lease!